Thomas "Tom" Caton is the new Entertainment Editor for the CalTimes this spring 2019 semester and he could not be more excited! Tom has written for the paper in the past, but this is his first year holding an editorial staff position. Hailing from Baden, PA, Tom is currently a sophomore studying Communications with a concentration in Radio & TV. 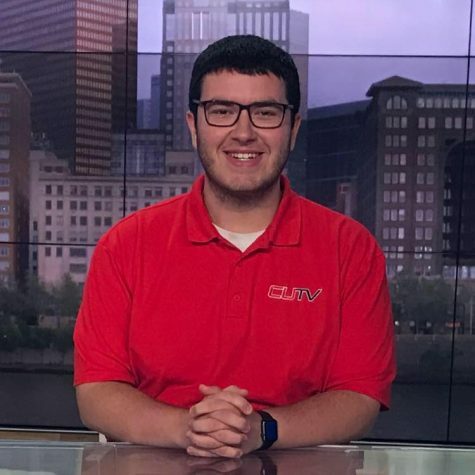 Along with writing for CalTimes, Tom is also a production crew member of CUTV and a certified WCAL DJ. Outside of the media suite, Tom is a member of the Student Honors Advisory Board (SHAB), a member of the University Honors Program (UHP), and a peer mentor. In the future, Tom hopes to pursue his lifelong dream of being a talk show host on television!